Together, the Hearth & Home Technologies family of brands offers a product line unsurpassed in its breadth, including a full array of gas, electric, and inserts, stoves, grills, mantels and more. Our Heat & Glo brands are the strongest in the industry, and our products are designed to incorporate the very latest in materials and technology. 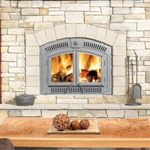 Just CLICK on the Heat&Glo Logo to begin building your new fireplace today! Then simply print your selection or Email a copy of the form to us. We will handle the rest. Note we are not listed as a dealer yet with Heat & Glo but you can print using another dealer selection. Call 509-882-4822 with any questions. An investment you can count on… Your new Napoleon® fireplace, stove or insert adds value to your home while at the same time giving you uncompromising comfort and a reliable heating source. Aside from kitchen and bathroom renovations, fireplaces add the highest return on your home investment. Nothing to lose and everything to gain. Highest efficiencies, maximum comfort… Years of research, design and testing have enhanced optimum performance allowing Napoleon® products to achieve some of the highest heater rating efficiencies on the market. Napoleon® continuously surpasses industry standards not only in appearance but in efficiency and performance.